Annabel Greene is beginning her senior year with a sense of dread. She is afraid that no one will talk to her and she will have no friends, which is exactly what ends up happening. She eats her lunch alone and the school outcast is the only one who will even come near her. Her former best friend has now turned everyone in the school against her based on something that happened early in the summer that is not revealed for a long time. Annabel has two older sisters, one who is currently taking classes in New York, and one who is at home recuperating from an eating disorder. At one time all of these girls worked as models, but now Annabel is the only one who still does it. As she realizes she would like to end her modeling career, she also realizes that this will be yet another thing she keeps inside and doesn’t tell anyone. Annabel does not like to upset people or disappoint anyone, so therefore never tells anyone what she truly thinks or feels. Owen is the outcast who sits with her at lunch and eventually they begin talking. He has a radio show in which he plays very untraditional music. He demands honesty at all times and Annabel begins to think he might be someone she could really confide in. The question is whether or not she will let herself actually tell anyone about what happened on that fateful summer day that forever changed her life. 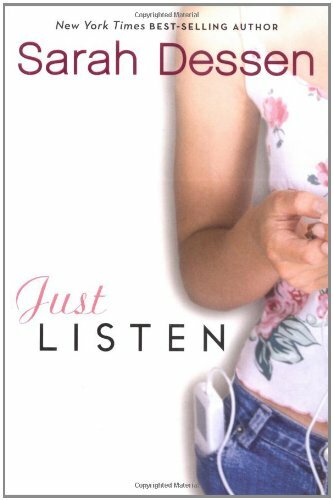 This story is well written and will be a favorite with many teenagers. This book encourages teenagers to take control of their lives in order to plan what they want to do in the future instead of what their parents’ plan for them. In today’s society it can be difficult to break away from a parent’s protective guidance. Recommended.